It happened. 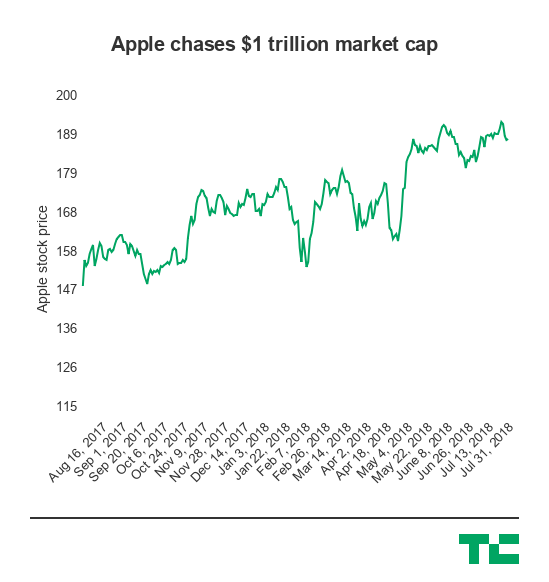 Apple won the race to $1 trillion in market capitalization. 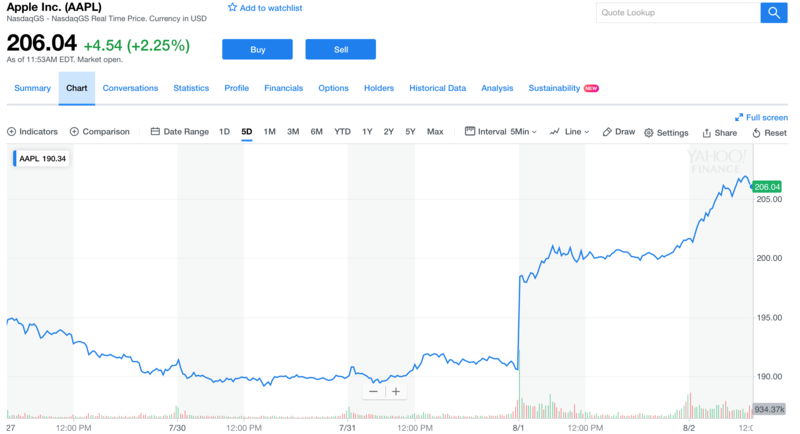 Following this week’s earnings release, Apple shares (NASDAQ:AAPL) briefly traded at $207.05, which values the company sightly over $1 trillion based on the most recent share count of July 20. While the smartphone market is more or less saturated, Apple managed to increase its margins and the average selling price thanks to the iPhone X.
iPhone sales grew by 1 percent, but revenue jumped by 20 percent. With $53.3 billion in revenue, the company managed to grow by 17 percent year-over-year. iPad sales are more or less flat while Mac sales are down. For the past few years, Apple has been saying that services are going to become a key part of the company’s bottom line. All various services (Apple Music, iCloud, Apple Pay, etc.) now represent $9.6 billion in revenue. But let’s be honest. Apple is killing it on the iPhone front, and it’s all that matters. Big tech companies have been performing incredibly well for the past year. Alphabet (Google), Amazon and Microsoft now all have a credible shot at crossing the $1 trillion mark. It’s a meaningless milestone, but an impressive one — $1,000,000,000,000. Apple has been the biggest company in the world when it comes to market cap for years. It might not remain the case forever, so the company can celebrate this moment. Now that tech companies have become so big, it raises a ton of questions. Do they cause antitrust issues? Is there enough regulation to make sure they don’t hold too much economical and political power? Apple (and Tim Cook) are more powerful than many countries and political leaders. Let’s hope they use this power for good. Pope Francis declares death penalty inadmissible in all cases.